This blog is not about me. I am just an average citizen interested in promoting informed participation in the political process. Unlike Thomas Paine, I am connected with a party. I am a member of the Prince William County Republican Committee. Nonetheless, while I do discuss my views on my blog, I try to base those views upon a wisdom that is apart from me. If we are considered wise, it is because we make wise choices, not because of who we are. One cannot be wise; one can only get wise. Our experiences merely serve to confirm and strengthen our faith in wisdom God provided us as a gift centuries ago. I do not claim divine guidance, however our nation’s founders turned to the Bible for guidance, and I see no reason why I should not do the same. In that vein, I urge those public policy options that I believe have a sound moral foundation. Since this blog has been in operation since September 2006, I have had an opportunity to learn a few things, and I hope I have learned at least a few things. Nevertheless, I still look at American politics from the perspective of Prince William County, Virginia. For the most part, I still only talk about those elections where I have a vote, and I still report on the meetings of the Prince William County Republican Committee. What has changed? My focus has changed a bit. Over the last several years, I have become steadily more amazed by the creation of our constitutional republic. How did it ever happen? How did we ever end up with a constitutional republic? We know the people who lead us today could not be trusted to rewrite our Constitution. Yet the men who wrote our Constitution in the last years of the 18th century did an outstanding job. What was so different about them? I want to know, and I do not believe I am the only person who does. So it is that this blog considers the principles of good government. What are the principles that guide us? How do these principles work in practice? What was special and different about the people who created this place we call America? How can we be more like them? This blog also addresses religious issues. To provide some perspective on my religious “bias,” here are a series of posts that describe my religious views. About the Blog’s Name — Citizen Tom is named in honor of a hero of the American Revolution, a pamphleteer named Thomas Paine, the best blogger of his day. If you are unfamiliar with Paine, the reason is that his political opponents succeeded in savaging his reputation. However, during the American Revolutionary Paine played a key role in igniting the revolution. At least 120 thousand copies of his most famous work, “Common Sense” were distributed amongst the colonists. This work inspired many, including George Washington, to take the steps that eventually led to America’s independence from Britain. 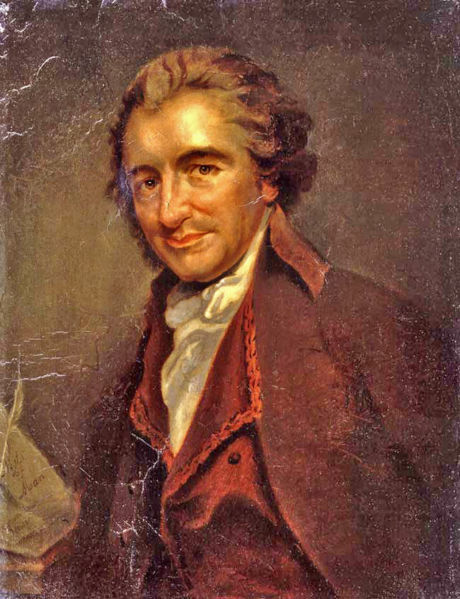 Some have observed that Thomas Paine was a deist. That is, Paine believed in God, but he did not believe in Christianity. Paine described his religious views in the “The Age of Reason” (see here) Since I once held a similar position, I have considerable sympathy for Paine’s views on this matter. There is nothing simple about religion, and I suppose God intended it that way. You may email me directly at citizen_tom@hotmail.com. Thanks for visiting. P.S. I enjoy hiking. If you do as well, consider the following location.